Thank you for your interest in writing for the Renal Support Network (RSN)! Whenever possible, we obtain patient-authored articles that we publish on our website, in our newsletter, Live & Give, in our Health Library or on our Blog. Whether you’re an established writer or simply someone who has a story to tell, we would love to hear what you have to say! The types of articles we’re looking for include patient profiles or success stories, lifestyle tips (such as how to cope with dietary or fluid restrictions or how to tell the person you’re dating that you have a peritoneal dialysis catheter), renal-friendly recipes, exercise tips, traveling—anything that will let your fellow patients know that the loss of kidney function doesn’t mean that you’ve lost the chance to live a full and productive life or that you’ve given up on your hopes and dreams. It would be beneficial to end your article with a “call to action” so that patients are encouraged to become involved. The reader should come away from the article with specific knowledge that can be put into everyday practice with regard to dialysis and/or how to live with kidney disease. This is simply a general description of what we’re looking for. The precise focus of the article is up to you. If you have deep interest in a specific kidney-related topic, then you already have something to write about! We also encourage articles that will help health care professionals inspire and educate their patients or coworkers. Either health care professionals or patients can submit articles of this type. 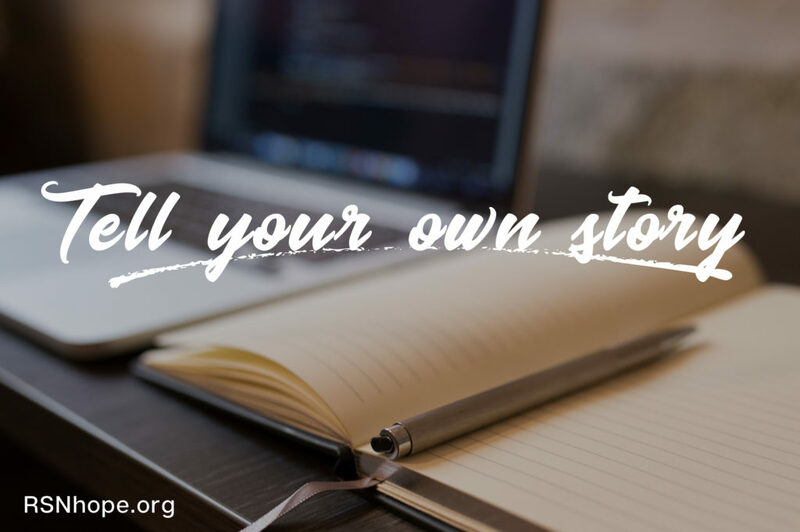 RSN’s Online Health Library and Blog posts are geared toward both patients and health care professionals. Articles feature lifestyle tips, patient profiles, recipes, and other kidney-related topics. The goal of the website is to connect and educate patients, helping them to live healthy and productive lives. Live & Give is a biannual newsletter that’s written by patients for other patients and their family members, as well as for the rest of the kidney community. Live & Give focuses on lifestyle issues, legislative news, patient profiles, and other topics that put a positive spin on living with kidney disease. The goal of the newsletter is to educate and inspire patients. Articles submitted to RSN should be original manuscripts that haven’t been published anywhere else, either in their entirety or in part, nor should they be under consideration by any other website or publication. The byline must include your full name and, if applicable, your academic or other credentials. Along with your submission, please also include a brief biography of approximately 30 to 50 words (indicating your history with renal disease, your occupation, interesting facts about yourself, etc. ), along with your mailing address, your phone number, and your e-mail address (if you have one). If possible, please send a headshot (a close-up of your head and shoulders) with your article. Other photos that enhance your article are also accepted, but are optional and will be used at our discretion. Photos should be in a digital format (preferably .jpeg) with a minimum resolution of 300 dpi (150 ppi) and a minimum dimension of 4 x 6 inches. We will provide an email to send photos to upon approval of your blog post. If the files are too large to send by e-mail, we will provide a link to transfer via Dropbox. We prefer that your articles be submitted as Microsoft Word documents attached to an e-mail. (If you’re not using Microsoft Word, save the article as an ASCII or “text only” file, or copy and paste the text into the body of the e-mail.) Handwritten or typed articles are also accepted and should be mailed to RSN at the address below. We’ll notify you by e-mail or phone once we receive your article and again before publication. All of the articles we accept are subject to editing for content, clarity, and length. We also reserve the right to change the title. After the article is edited, you’ll have the opportunity to review and approve it before it’s posted or published.